My Instant Pot has proved to me that I can not live without it. I finally decided to bake in it. 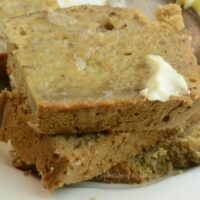 Let me tell you Pressure Cooker Banana Bread is a moist heavy bread that is very filling. I don’t know how I lived without my Instant Pot for so long. My next adventure will be pumpkin bread and apple bread so make sure you are following along and join my brand new Facebook Group . Right now I am having a contest in my group to giveaway Instant Pot accessories I hope you join. Check out my 20 MUST HAVE Instant Pot Recipes. 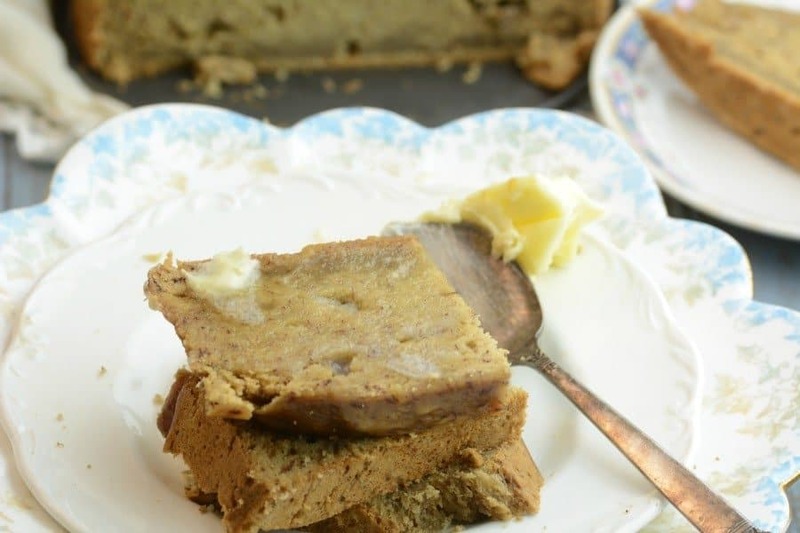 Pressure Cooker Banana Bread is actually very easy to make. Directions: Mix together butter, eggs, and sugar until creamy. Stir in vanilla and mashed bananas. In a separate bowl mix baking powder with flour. Mix the dry ingredients with the wet. 1 cup at a time Until your batter is smooth. Pour into your springform pan. Pour 1 cup water into the bottom of your Instant Pot or pressure cooker. Place pan on a trivet and cook on manual high pressure for 50 minutes. Do a quick release Remove and serve. Mix together butter, eggs, and sugar until creamy. Stir in vanilla and mashed bananas. In a separate bowl mix baking powder with flour. Mix the dry ingredients with the wet. 1 cup at a time Until your batter is smooth. Pour into your springform pan. Pour 1 cup water into the bottom of your Instant Pot or pressure cooker. Place pan on a trivet and cook on manual high pressure for 50 minutes. Do a quick release Remove and serve. ← Previous Post Lifestyle Habits Which Could Be Jeopardizing Your Oral Health! When you cook this, did you cover it? If you did, what did you use? Looks great! I think I may try this this weekend in my mini Bundt cake pans that I got from Target. Could you use mini bread pans? How long do you think I would cook it? I do not have a 7 inch pan that would fit into the instant pot. I do have mini bread pans though. I made your Banana Bread. Delicious. Thank you. Easy recipie. But found banana bread lost half its height after taking out of the instantpot and cooling on rack. What brand pressure cooker or instant pot do you use? Mine won’t set. Using an 8 quart. Added more water and did for 20 more minutes, the same. Doing 20 more and if it fails, oven. This may be a silky question, but would it need to be refrigerated if making the day before to take on a camping trip? I added some fresh blueberries, yummy! I used all pupose, it was perfect. Could this be done in a 6″ springform pan? If so, how long would you cook it for? This was a huge hit at a party. It was so moist and dense, just delicious. Will definitely be making this again. A lot of recipes use 1 tsp of baking powder to one cup of flour. 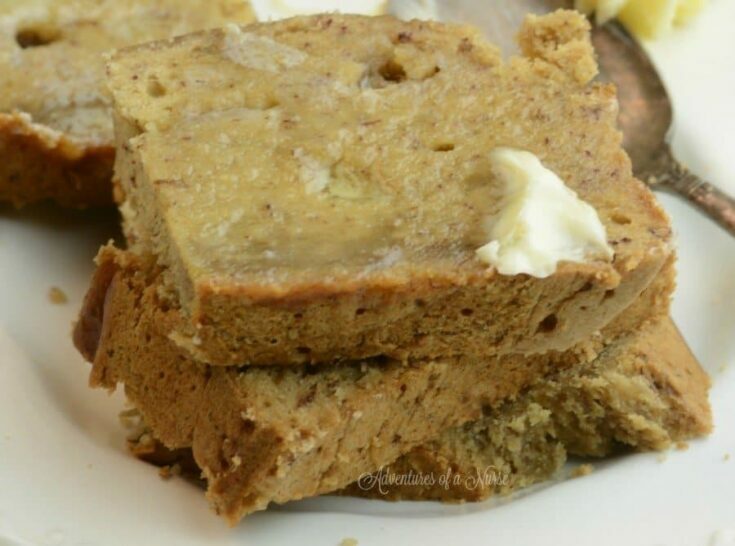 Why does this banana bread only call for 1/2 tsp of baking powder (and no baking soda)? Is that because it is being baked in a pressure cooker? Or is there something in the recipes that makes the baking powder more active? I just made this and it is very dense which I know would happen but it didn’t rise like in the picture. We tried corn bread in the Instant Pot too and same result. I will stick to cooking in it not baking. Instead of regular flour can I substitute banana flour or coconut or almond flour?